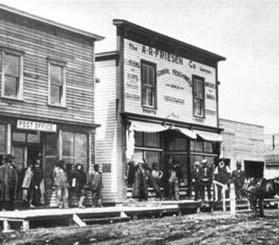 With the arrival of the Canadian Northern Railway in 1904-05, the townsite developed. 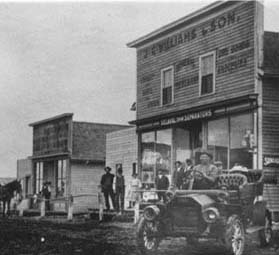 In 1906, the post office opened, the first grain elevator was built, and a general store was established. The community was named after Dalmeny, Scotland. The village grew slowly but steadily until the 1960s, having developed into a service centre for the surrounding Farming population. 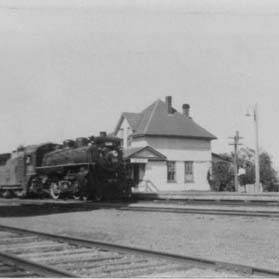 Beginning in the 1970s, Dalmeny began to attract people who worked in Saskatoon but wanted to live in a smaller community. Young professionals and their families augmented the village's population from 417 in 1971 to 1,064 a decade later. In 1983, Dalmeny attained town status. While there is a small core of essential businesses, residents benefit from the employment opportunities, services, and amenities that nearby Saskatoon has to offer. Dalmeny’s two schools provide K–12 Education to over 500 students, and there is a library, a municipal police service, a fire department, a special care home, and a new community complex with a rink for Hockey and skating.